IT WAS a mix of the old and the very new at Lookers Volkswagen Battersea as it held the official launch of its brand new £10m showroom. The new dealership, at York Road, was officially opened to a packed audience, which included senior directors from Lookers and Volkswagen Group. 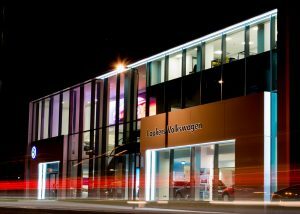 The 90,000 sq ft dealership represents £10m of a joint venture with Linden Homes and displays 90 used cars and 17 new cars. The launch saw guests take a tour of the new three-storey building and browse the very latest models to grace the Volkswagen range, including the powerful T-Roc, Tiguan and Touareg SUVs, as well as the fully electric e-Golf. Guests were also able to admire the ultra-futuristic Volkswagen XL-1, the most economical road car ever to reach full production, while also taking a look back at some of the brand’s most iconic models, including the 1974 Golf GTI MK1 and 1976 Polo MK1. 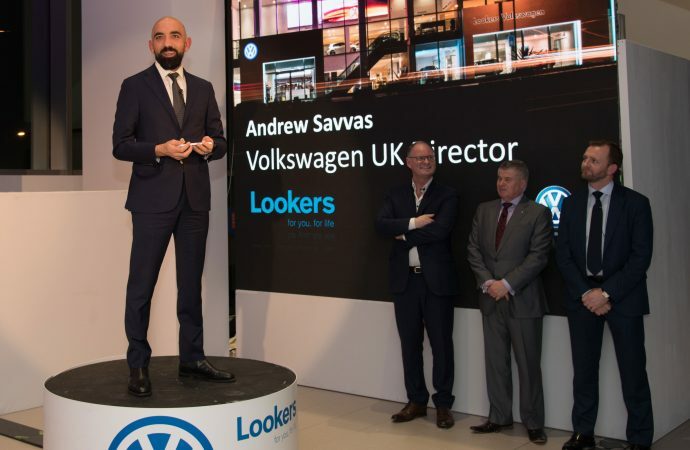 Attendees included Lookers chief executive Andy Bruce and Lookers chief operating officer Nigel McMinn, while VIP guests included Andrew Savvas, director of Volkswagen UK, who took the opportunity to recognise Lookers as a key partner for the brand. Savvas said: ‘The success of Volkswagen is underpinned by strong partnerships, with the biggest opportunities coming from collaborations with our retail partners. ‘That is why we are so proud to call Lookers a partner in the United Kingdom, as it is responsible for over six per cent of Volkswagen’s total sales across 14 locations. 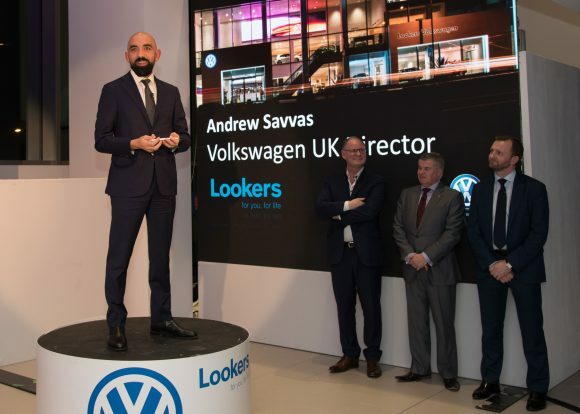 ‘I would like to thank Lookers for its long-term commitment and for its investment in this amazing facility in Battersea, which is one of the most impressive Volkswagen retailer premises in the UK right now. In the picture, Andrew Savvas, director of Volkswagen (UK), addresses guests at the launch. Standing from left to right are Lookers chief executive Andy Bruce, former business efficiency director for Lookers VW, Paul Wilkinson, and Duncan McPhee, Lookers Volkswagen franchise director.